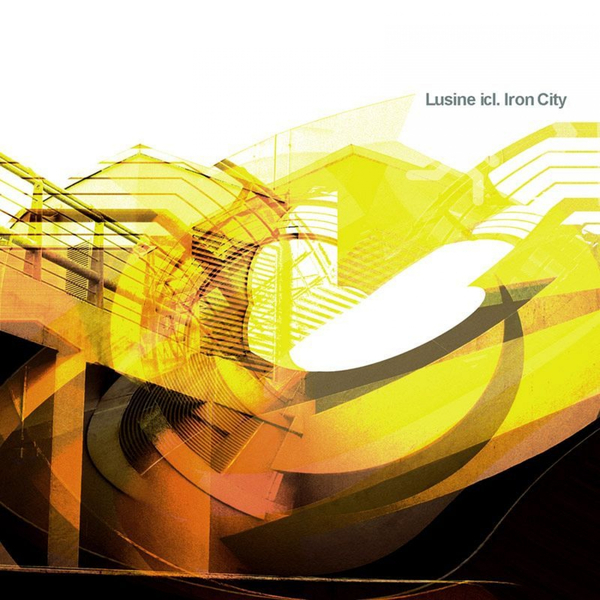 Growing in stature at a rate that's proven almost impossible to keep up with, 'Iron City' is undoubtedly Lusine's finest full-length work to date. 11 tracks of that distinctive effervescent squashed electronica that Jeff Mcilwain has perfected and tweaked over 3 previous albums and a scattering of EP's and compilation tracks, this is a seriously devestating piece of work from an artist that has managed to perfect his sound into a distinctive mesh of accoustic process and deeply crunchy electronic structure. Kicking Off with the memorable 'Blind' - sounding like one of those Aphex Twin tracks ('Flim', for instance) that tugs directly at the heartstrings and embeds itself in your mind for days on end, this is pure blissed out territory that lays the ground for much of what's to follow. 'Numbers' employs that trademarked L'usine sound hover that's so impossible to describe, and introduces a staggered, crushed hip-hop paced beat and double-bass that simply destroys on impact. TURN UP LOUD! 'Bent' finds a four to the floor aesthetic fed through the lusine machine - all spacy textures and stringy noises that produce a perfect blend of Basic Channel sensibilities and the tweaked crunch of the finest kind of electronica. This is a majestic album, investigate without further delay.